The Amazon Sales Rank is probably the most important building block of the FBA universe. Millions of dollars can be made or lost in an instant, when the sales rank fluctuates. That’s why Sellers have a love/hate relationship with it and try to tame it, game it or ride it. The Amazon Sales Rank is a number which captures the item’s popularity in a certain category, sales rank exists for all products who are part of a category (some products don’t have a category). The Sales Rank interval can be between 1 and 1 million+. A higher number means you are not getting a lot sales while a smaller numbers shows that your product is selling well. For short the Sales Rank means the period of time since an item last sold. Ideally the period between two sales should be as small as possible. The Amazon seller community has speculated on what factors Amazon takes into account in order to determine the sales rank or Best Sellers Rank (BSR) of a product. Although some are right about the complexity of the Amazon ranking system, taking into account all of the theories is an arduous task and for sure can discourage even the most motivated Newbie Seller. That’s why we will focus just on the Top 10, we don’t want to get too technical and stick just to the main signals that can make or break a product’s Best Seller Rank. Learn a little more about how to make money with Amazon FBA for free. Well, this is a no-brainer but some newbie sellers always get shocked that they don’t have a good BSR when they first list and launch the product. Even if your product is a unique product in the category it still needs to gather some consistent sales in the initial days in order to start climbing on the seller rank ladder. That’s why it’s a good idea to start thinking before you launch how you will get that extra sales push like low price entry, product giveaways (Jump Send, Amazon giveaway) or coupons. From the moment you launch and when you hit the #1 spot for your targeted keyword you need to strive to bring in more sales every day, this is what we call “Sales Velocity” and can dramatically improve your Amazon Best Seller Rank. Let’s say you are aiming for a BSR of 200, but your top competitor has 10000, you’re aiming high but get prepared to be let down. The cases when you beat a competitor’s BSR are very rare because he has the highest ranking for your category, that means he is capturing a large chunk of the given daily/weekly/monthly sales so at best you could get his ranking or slightly better. 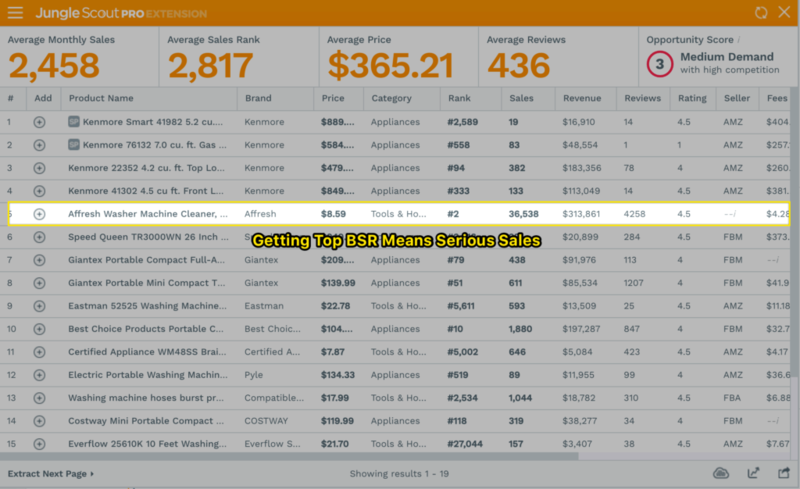 After you decide on a product, check also the average BSR and sales for your top competitors, we have a free tool which can help you get sales estimates. Check out the Sales Estimator. You might see your BSR spike if you get a lot of sales in a short interval. But if you can’t keep the sales momentum BSR will plummet. So this could affect your keyword rankings. Best advice here is to try and get consistent sales. Say it’s the beginning of March and you used the Jungle Scout Web App and discovered that inflatable flamingos have a really low BSR (ie a good BSR) and they are getting tons of sales. Next step is that you want to cash in on this opportunity and put all your savings in an inflatable flamingos order. But if you haven’t been tracking the product for a while, you would be in for a surprise. There is almost no money to be made from this product in the autumn or winter months. The current BSR is tricking you that this a good opportunity. Remember you want to have consistent sales all year round. After studying thousands of products we saw that an order of 30 units has the same weight to the BSR as an order of 1 unit. So don’t think that higher units per order can bring you a boost in BSR. At most, it will bring you a boost in keyword ranking. We correlate the BSR updates with the fact that a payment for a certain order has gone through. So check from time to time that your customers’ payments don’t bounce. Again this graph has been provided by our friends from Keepa. Let’s face it: everybody has a bad day, Amazon totally gets that, so if for instance, your sales drop 50%-60% in a given day, it won’t penalize you on your BSR based just on one day’s data. The sales rank may decrease a bit but not dramatically. The second day is the same, no worries you still can get back on track. But this means that you need to have a consistent Sales History. 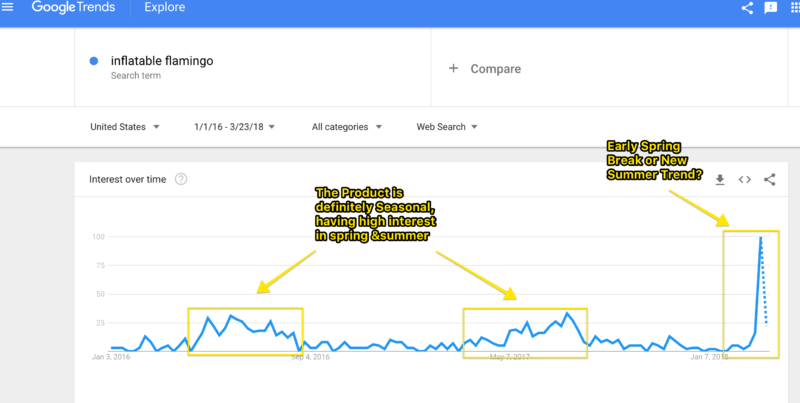 We noticed that if your sales drop altogether during a period of 4-5 days only then your BSR will plummet and you get penalised on keyword rankings. This hasn’t been touched by most sellers, but it’s true that product research and how much time you invest in finding the right product can be a good indicator of the best seller rank that you can achieve. go for niches or categories where demand is really strong (Min. 1000 sales/month) and don’t be afraid of the competition. If you have a stellar product you can achieve a good BSR and get some decent sales with a steady profit. Just keep in mind that the initial investment could be higher. find a very specific niche, where demand is Min. 300 sales/month and is underserved by competitors( products listed are of very poor quality, products need improvements, customer service is poor or listing quality is bad) dominate the specific niche by coming up with a super product and listing. pick products which have a higher price (>$30) where competition is scarce and position yourself as being a premium product, this way you could skyrocket your BSR to the top. Next would be to hop on Amazon to start earning and experiment by yourself, the best way to learn something is to go ahead an do it. Also, keep in mind that the Amazon Best Seller Rank algorithm is a living organism and is changing often, in some cases on a daily basis. But although the complexity can sometimes overwhelm you, you need to focus on driving sales and more sales to your product/products. Feel free to share in the comments any other signals or factors that Amazon is taking into account for BSR. I am a firm believer that YOU (our Seller Community)know even more about this subject than we do. 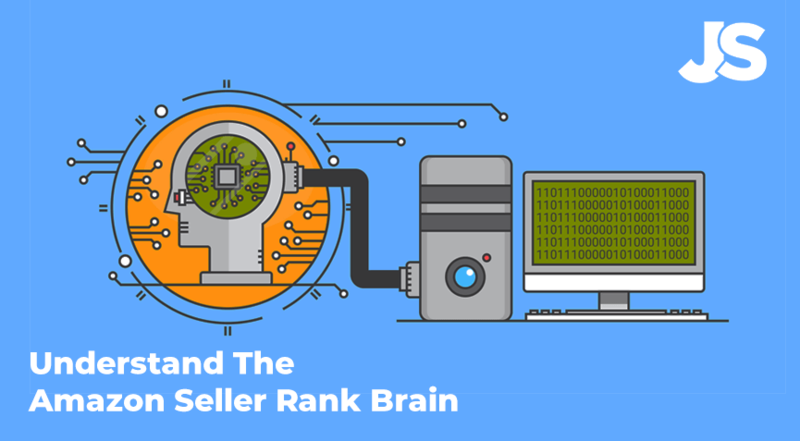 So let’s crack the secrets of the sales rank algorithm together! I am an author of a book that I sell on amazon and on my own website. I have a contract with a customer to order 2000+ books per year. We have to ship the books to the individual customers. I would like to use the sales to drive up my sales rank on Amazon. At 2000 per year it would put me in the top 10 of my category. We have currently set up a Multi-channel fulfillment account. Will the orders submitted using the Multi-Channel Fulfillment method increase our sales rank? If not, is there any other way we can structure the sales so that it contributes to our amazon sales rank? Does this apply to the sale of kindle books as well or is it just for physical products ? Kindle books work a little differently, but the ideas are roughly the same as ranking is powered by Amazon’s A9 search engine. It was very well explained on how to start from scratch…….. I am wondering how much capital is required to get started. Thank for the info, but something is still not 100% clear to me. BSR basically reflects my sales velocity (not exactly, as you mentioned, but generally this is the idea). So, why do I care about BSR? The only thing I should care about is my KW ranking and sales. I mean, BSR, to my best understanding, is just a number which represents my latest performance on Amazon, and its not really affecting anything… right? I should worry about reaching high KW ranking. Glad you found it useful. Regarding the BSR I am saying that it would be a good idea to keep it under observation. You can look at the BSR as a side metric that shows the health of your product in terms of sales and how are you performing compared to your competitors. Based on it you can create different scenarios regarding demand for your product.That’s how I use it, at least.